In deviated septum treatment, septoplasty and submucous resection is proved solution by which septum deviation can be corrected. May be you are not familiar with deviated septum by its name, but after knowing what deviated septum actually is, you will get clear picture of it. See yourself in a mirror and focus on your nose shape. 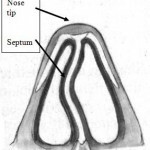 The septum exists in the internal part of the nose. Put a finger inside your nostrils and in the middle of your nose, you will realize the existence of bone and cartilage which is called septum. It parts the nostrils in two sections. When it gets injured or off-centered, it is called deviated septum. The critical cases of deviated septum often are treated by septoplasty or submucous resection. 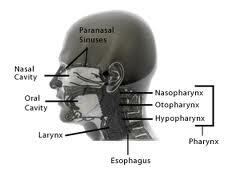 These are two surgical processes which are sure solution of deviated septum. Patients, who are passing through severe nasal condition or dangerous consequences of this nasal disorder, quickly get relief from these solutions. Septoplasty is called as surgical process and just like septoplasty; submucous resection also works in similar way. Along with providing relief from septum deviation effects, it also corrects the nose shape. This is very effective treatment for septum deviation issue and many people have got desired result after undergoing submucous resection. The process of submucous resection is performed over nostrils and there are no black eyes or facial scars occur when this operation is completed. Both surgeries septoplasty and submucous resection are performed with general anaesthetic for most of the times; however sometimes local anaesthetic may also be used. The entire process takes around an hour. In these operations, the surgeon usually cut inside the nose and then removes all bent or damaged parts of septum. As it is a fact that every operation causes some complications and similarly, some particular issues or complications can take place after having septoplasty and submucous resection for correcting your nasal disorder. Though, after using these operations, your deviated septum will go away and will not come back in your life again. Following are few General complications related to these operations. Some Infection May occur over surgical wound. 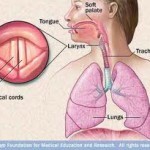 It is very effective treatment for patients who suffer from deviated septum and its effects like breathing issues, deformities, obstructions etc. 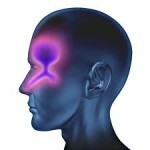 By cleaning internal nasal area, surgeons help smoothening the airflow by which they breathe in ease. Septoplasty and Submucous Resection process is used for injured or crooked nose and when it successfully performed, it enhances overall facial beauty of the patients. By correcting all the issues related to septum, one can stay away from breathing or sleeping issues as well.